Yet another twist in the Worthless saga. It turns out that he used his diplomatic passport on the trip to India – which was a ‘private’ trip. John Key in his usual spineless way has issued another limp ‘warning”. It appears that even Worth does not believe the warning. Worth admitted in Parliament on Wednesday that he had used his ministerial diplomatic passport when travelling to India on private business with two other MPs in February. Worth said he had used the passport, which confers special status on ministers and allows them to avoid lengthy airport queues, in accordance with the Cabinet Manual. But Labour MP Trevor Mallard today distributed copies of the Ministerial Office Handbook – the rules ministers are expected to adhere to – which clearly states that all private travel must be undertaken on ordinary, private passports. You aren’t allowed to play around with diplomatic status for private reasons for exactly the reasons that Richard Worth is now being pilloried. It gives your host country the impression that your trip may have some official sanction. This is apparent to anyone with a grain of common sense, but not apparently to a new Minister of the Crown who apparently hasn’t read the handbook – which I find hard to believe. To me it appears that he lied to parliament. I’m annoyed by someone masquerading as my representative to do their private business. It reeks of a attitude of contempt for the responsibilities of office. I’d suggest that someone puts him in front of the privileges committee to find out what in the hell else he has been doing. Otherwise it appears that the truth will not be made public. John Key appears to have issues with controlling his ministers and expecting them to conform to a standard of behavior. He has apparently said…. Key has said Worth is effectively on his final warning, although Worth has said he does not believe this to be the case. Under Helen Clark, almost any offense from being over the limit while driving to having an assertion of mis-accounting of donations was sufficient to cause a minister to lose their portfolios. However it appears that John Key has a far more tolerant approach to a far more serious assertion of a minister abusing the privileges of their ministerial role for private gain. What kind of Government does Mr Key want to operate? One where rules set out to ministers are clearly adhered to? Or one akin to a banana republic where rules are flouted for political expediency? So what will you do Prime Minister? Do nothing and stand by a minister who with one business trip has breached guidelines around ministerial travel, conflicts of interest and use of diplomatic passports? Or are you going to do what you should have done two weeks ago and relieve Richard Worth of his ministerial portfolios? Indeed! It appears that John Key has far lower standards of expected behaviour from his ministers than Helen ever did. You are comparing apples with pears. Most of Labour’s ministers were accomplished, experienced ministers with knowledge and understanding of how things work. What we appear to have now is a cobbled together bunch of people who were lucky enough to be in the right place at the right time. Their leader has no establishment experience and is keen to be liked. By all. No matter what. Of course he is going to fall down and be taken advantage of. Perhaps he needs a course of instruction from Supernanny. Yawn. That is such an immature argument. What we appear to have now is a cobbled together bunch of people who were lucky enough to be in the right place at the right time. I’m tempted to believe this, but no. Many of these guys were Ministers in the 90’s National govt, and Worth himself is a senior lawyer who has been in Parliament since 1999, and a long history of public life. He has no excuse for not knowing the required standard around these issues. Personally I don’t think Worth is an especially bad guy. I’m willing to accept that in the first few hectic and heady months of power he’s allowed his enthusiasm to overwhelm his better judgement. His best course of action (as it always is) would have been to make a full and frank admission of the mistake, offered his resignation (as did David Parker for instance) and put the matter into the hands of the PM. The real deal has been the mishandling of the issue by the PM, in particular Key has been backed into a corner defending a Minister whose misjudgments are now being dribbled out into the public arena. It invites comparisons with Helen Clark, whose record holding her Minister’s to account is demonstrably stronger. At this point I have to think it will all end badly. Yeah this is what I’m getting peeved about. Worth obviously has a problem with being a minister. But Key doesn’t appear to be accepting his role in being responsible for controlling the ministers. The way that this one keeps trickle feeding out into the public is damaging. But what freaks me is that Key is doing bugger all. How politically inexperienced the PM is is starting to show. This whole thing has been an unfortunate waste of time. Worth clearly fucked up, should have given his mea culpas, and taken the punishment – and Key shouldn’t have hesitated to dish it. Instead we have this lingering mess of an issue, when (as you all keep pointing out) there are far more meaningful things that need debating and sorting out. So, I agree. Cut Worth adrift. A few more years on a backbench will help him learn the difference between public and private. Wasnt Worth also an executive partner at Simpson Grierson. I take that to mean his legal work was pretty sloppy, but he could run the office staff and be a meeter and greeter alongside the receptionist. Worth’s behaviour is atypical of the National Party, after all their traditional PR firm “Pomp & Arrogance” was left on the sidelines during the election campaign as an unwelcome truth machine. Worth, Key & Co. are getting back to their real roots – that of routing the ordinary people in the community… Worth’s behaviour and attitude extends into the decision to create the monolith of the Black Hole of the Auckland super sucker city. A concept designed to over-ride the social and community needs of the citizens in the existing cities like Manukau, Waitakere & North Shore. Of course the explanation may be quite simple. In exchange for standing aside in Epsom in 2002, Worth was ‘assured’ of a Ministerial post. Which means that Key has a somewhat higher bar to leap over before appearing to renege on this promise just yet.
. . . what’s next – 15 minutes on the “Naughty Spot”? No no BLiP. No it’s really serious for Worth. He has “effectively received” a final warning. Or – ummmm – has he? I think Worth is gone – he is only a Minister as a consolation prize when Key jumped Smith over him for the speakers role. If Worth is still a minister when parliament resumes it will show that Key is not capable of maintaining minimal standards for Ministers. Yep, and that is the question of the post. Exactly how competent is Key at running a coherent cabinet. Worth effectively went off and did his own thing, carrying the mana of cabinet with him. If that gets repeated across some of the loons in this cabinet, then we’ll have a government in chaos. Much as I dislike NACT, I don’t think that helps NZ much. All comes down to Key and his management skills in a government environ’s. I think Trevor is right – Worth will be gone. I suspect the only reason he hasn’t gone yet is that Key is seeing who publicly supports Worth within his own caucus, and that Key will allow Worth a dignified exit. People still don’t get what Keys background in investment banking has given him (apart form the dough). I posit that global investment banking is (or certainly was) the only industry where machiavellian scheming, divide and conquer tactics, feints, feral behaviour etc is worse than NZ politics. While not wanting to debate the wider issues of competency etc, one thing is sure – Key and a lot of his intake (Foss, Tremain, Joyce etc) are better versed in scheming ,plotting and the end game than all but the most hardened inner sanctum Labour Party apparatchik. And he has alos taken the view that (while I agree Worth should be sacked) the public don’t care. Certainly next to the excesses of Winston, Benson-Pope and a host of others the public perception is nowhere near as bad. I think that the point there is about public perception. It helps when you have the major media outlets braying for blood. Of course they haven’t really done the same with Worth – I wonder why..
What Worth has done is far worse in governance terms than either Winston or Benson-Pope were accused of. All were economical with disclosure. Winston was accused of bad accounting for his party. Benson-Pope of having a staff member saying that he would be uncomfortable with an appointment in his ministry, leading to accusations of exerting undue influence in the public service. Neither were particularly serious. Worth has used his position as a Minister to support his private business interests overseas. That is heinous because this prick was purporting to be representing me as a member of the NZ public to sell his tacky flying school. gomango: I’d say that you lack a sense of proportion. I’d suggest that you grow one. Then apply the same standards you were braying for last year. This idiot should be dismissed for bringing a reputation of corruption to Key’s ministers. Could you, or somebody, explain exactly what happens when a Minister misleads the House? I was under the impression that Ministers – even MPs – who do so are forced to resign. All the evidence from India contradicts this (media reports etc.). There are even photographs on the Minister’s own website! Everyone knows he was treated as a Minister, and wanted to be. So how has he got away with it? i don’t understand your point. I absolutely agree Worth should be fired. What i was pointing out were a few reasons as to why I thought he hadn’t been. You acknowledge the point – his just as serious misbehaviour doesn’t fierce up the general public, unlike Peters. 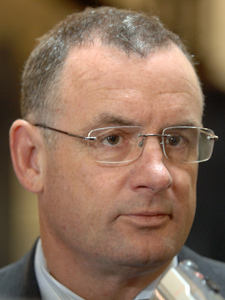 If you want me say “John Key should sack Richard Worth because Worth is an idiot who has misled at least his leader, certainly the public, and probably parliament (though the standard of proof required there is more related to how you can stack a committee) and has exercised a complete lack of judgment, far below (the admittedly poor) standards of a politician”, then there. I say it. Sack him now. I think the only person I was braying for the sacking of last year was Winston. And I stand by it. He clearly lied to the public on many, many occasions, and has acted in a corrupt fashion. Lets put the partisan BS to one side and judge people by impartial standards. If you still defend Winston, then you are partisan fool blinded to what is actually right and wrong. What I did see was a lynch mob urged on by the journo’s. I saw Hide, Farrar, and others claiming things that were ‘possible’ that were just lies and for which there was no proof or any eventual result. I also saw the same people ignoring similar offenses by other parties and people – for instance the Act party electoral returns for 2005 and 2006 look quite suspicious. To me it looked like a concerted attempt to drive NZF out of politics, which succeeded. Anyone who participated should feel ashamed – that includes you. Effectively what you’ve done is lower the bar for dirty politics in NZ. There are clearly things Winston lied about. Helicopters. Trusts. Donations. Bloodstock sales. Dinners. Meetings with certain “identities.” Maybe they havent been proved to evidential standard but that is more due to a lack of willingness to investigate properly. Bring Ross Meurant back for some testimony under oath. For someone like yourself who claims to espouse liberalism you should be pleased to see the back of someone who plays the xenophobic race card every election. Who more than any other politician has openly pandered to and essentially bribed certain electoral groups. The end does not justify the means. Unfortunately pretty much every party thinks that way after a while. Parroting the party line is as prevalent on the left as it is on the right. To anyone not in the “tribe” both positions look moronic. And just to clarify again, if Key doesn’t sack Worth, I think that would be a disgrace. I don’t see how I have personally lowered the bar for political standards in NZ. Our elected representatives and party apparatuses are perfectly capable of doing that by themselves. And exactly how many of Hide’s allegations, made in Parliament under privilege, turned out to be anything other than bare faced lies? And exactly why you think a coalition govt with this proven false allegator and liar is by the same logic you apply to Winston, any more acceptable? Winston was a liar and a knave, though not actually guilty of anything much (his actual legal mistakes were similar to ACT’s). Then there was his big, ongoing lie over his vested interests, his TranzRail share holdings, where he was caught lying by a TVNZ reporter (on camera), and finally forced to admit the truth. Let’s not forget the lies about policy flip flops. Key described global warming as a “complete and utter hoax”, in 2005 and then in 2006 he said “I firmly believe in climate change and always have”. Liar. Key lied about National’s position on Iraq. There are many further examples of him lying to edit the inconvenient past. The multiple inconsistent “explanations” for his “love to see wages drop” comment. On one occasion even his usually faithful fan Audrey Young had to tell Key off for lying, and John Campbell was famously driven to describing him as “As slippery as a snake in wet grass”. So just remember next time you’re telling off a polly for lying, John Key is the biggest liar of them all. Spot on. Well written, well thought out and and with impeccable references. All you say is true. Trouble is, for a lot its just pearls before swine. John Key has said that he is Jewish, that his is Christian and also that he doesn’t have any spiritual understanding. The former is most likely true. The end game is not power at all costs.. The fact remains that Peters and NZF have never been convicted of anything serious. Sure it had to be investigated, and that was done. No allegation been taken forward into charges – which is what happens to almost anything with any evidence. There wasn’t any, so no charges were laid. Hide on the other hand has knowingly lied in the house about Peters, making allegations that subsequently proved to have no basis in fact. Because it was done in the house under privilege, there is no redress for Peters or NZF. That is a clear violation of any principles of justice. That has been my position since the allegations were made. Read back in the comments last year, and you’ll see that I have been absolutely consistent on this. I prefaced my original comment with that I didn’t like Peters, or NZF. For that matter, I’d prefer if Labour hadn’t had gone into coalition with them. However they didn’t do the things that they’re alleged to have done by Hide in any legal sense. You appear to be trying to convict not on the allegations, but on Peters doing other things that are perfectly consistent with the political process. On that basis you are outlining, you should also convict Key for some offense because he pandered on tax-cuts. I don’t see how I have personally lowered the bar for political standards in NZ. I absolutely despise people like Hide who ignore the law when making up their allegations. Who seem to want to convict not based on evidence, but on innuendo done under privilege. They get irresponsible idiots like you and a lot of journo’s to go along with it, in the absence of any substantial evidence because they (like you) are too damn lazy to actually look at facts or the law. 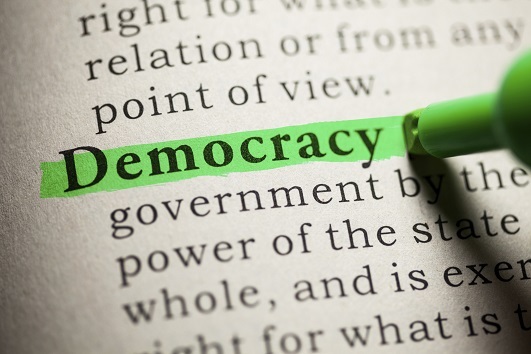 That diminishes the political standards because the same thing will now be done again – something for which you should hold yourself responsible. Are you clear now why I think that you are responsible for lowering political standards?